Wang et al (2015) in a recent Scientific Report report their use of a 2A self-cleaving peptide to express multiple proteins from a single transcription unit in Bombyx mori. Multiple-gene expression systems add a dimension to transgenic studies and give investigators more options in creating novel insect genotypes. Co-expressing transgenes in the same temporal and spatial pattern can be accomplished by constructing two transgenes, each using a separate copy of a promoter. While certainly possible, this strategy has some potential disadvantages such as increasing the size of the transgene cassette and this could impact transposon-based integration frequencies. The presence of closely positioned repeated sequences can also serve as substrates for recombination, leading to deletions or rearrangements of part of the transgene package. 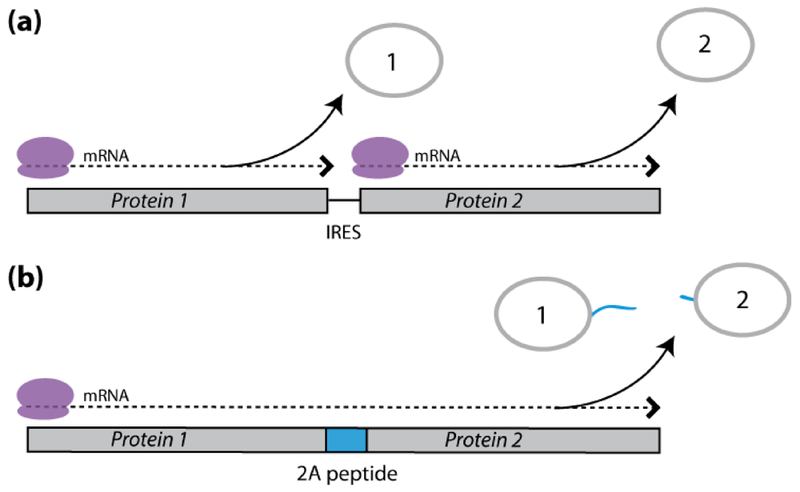 Two methods for simultaneously expressing multiple genes are the construction of polycistronic transcription units containing internal ribosomal entry sites (IRES) or the linking of two protein coding regions with the sequence encoding a 2A self-cleaving peptide (2A). Wang et al has explored the efficacy of a collection of six 2A peptides from a variety of viruses. 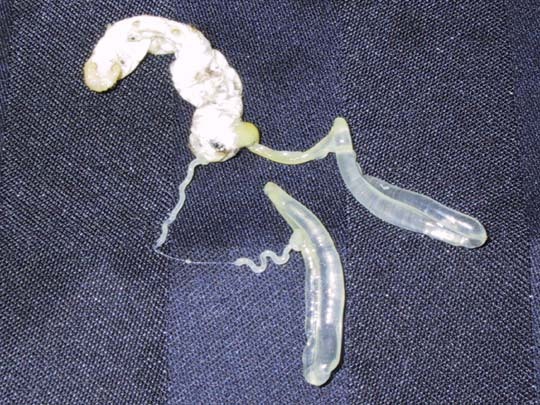 They test each 2A peptide in Bombyx mori cell lines in a variety of contexts including between two fluorescent proteins, and between the vitellogenin receptor. Wang et al have modified the 2A coding sequences somewhat by adding 3 amino acid acid linker to one end and find that this modification improves the activity of the 2As tested. Wang et al find that one particular 2A was particularly efficient resulting in 100% cleavage – the P2A-CSG peptide. Wang et al verified the efficacy of P2A-CSG not only in Bombyx cell lines but also in transgenic B. mori and find that it appears equally effective in the context of an integrated and expressed transgene in the silk gland of this insect.